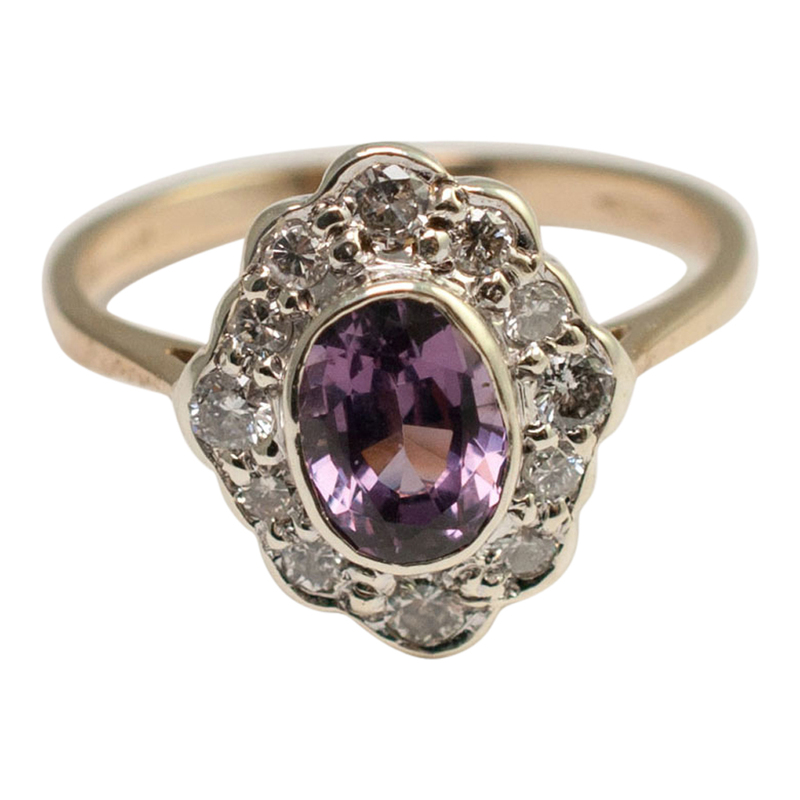 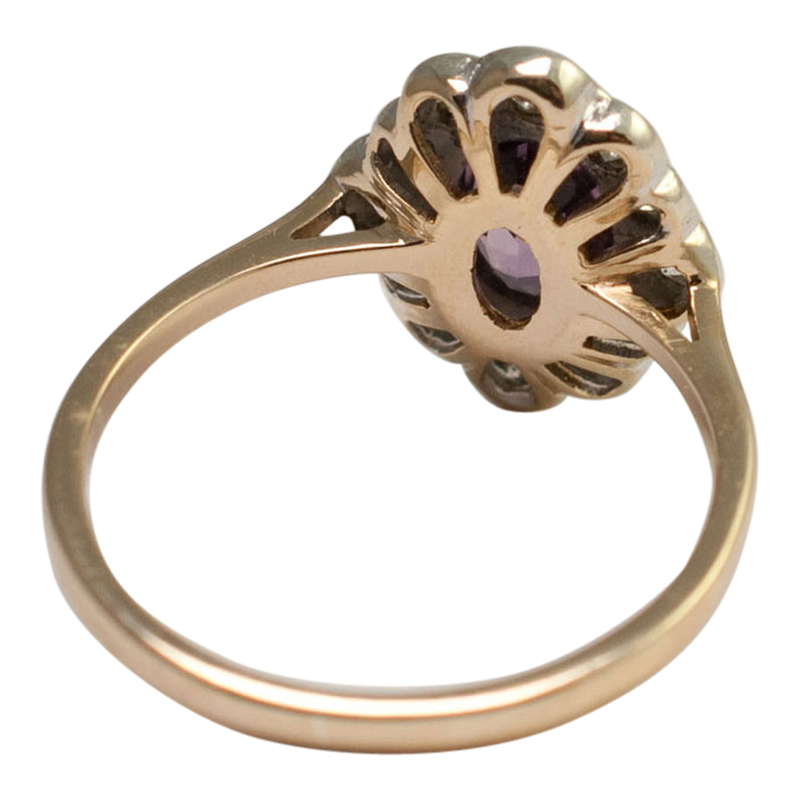 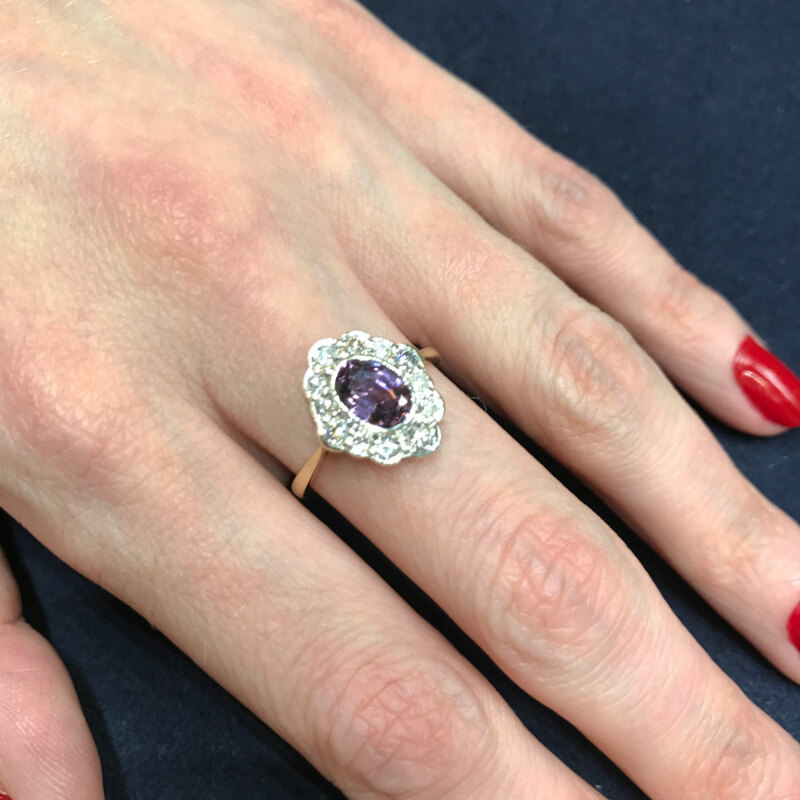 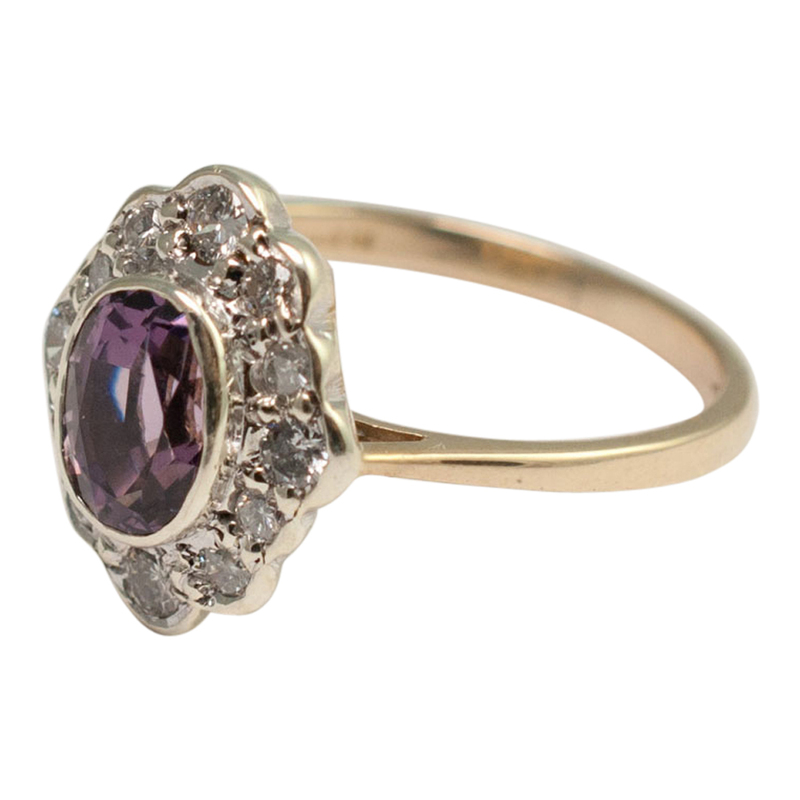 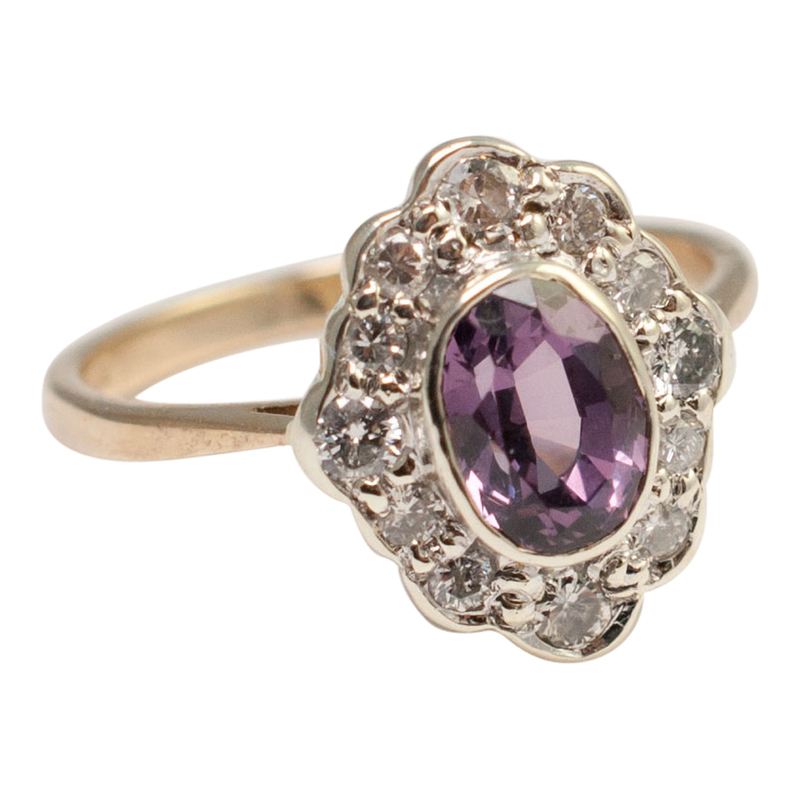 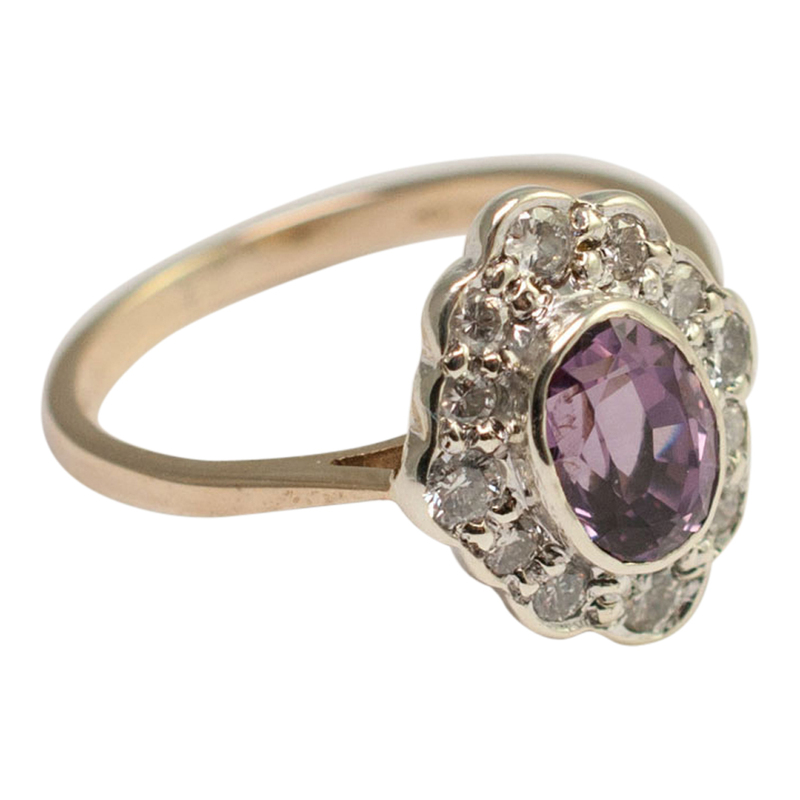 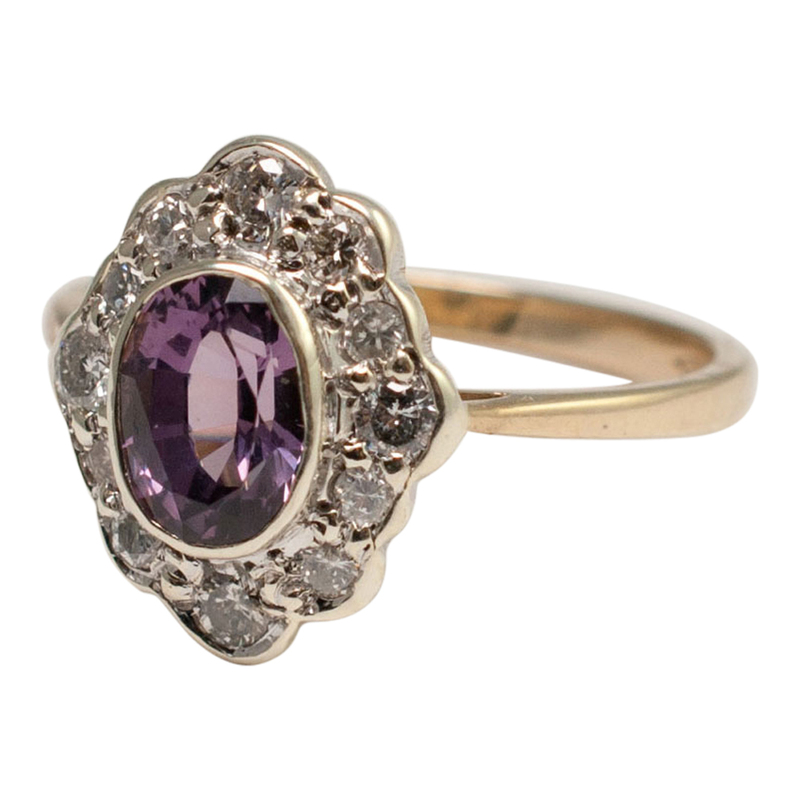 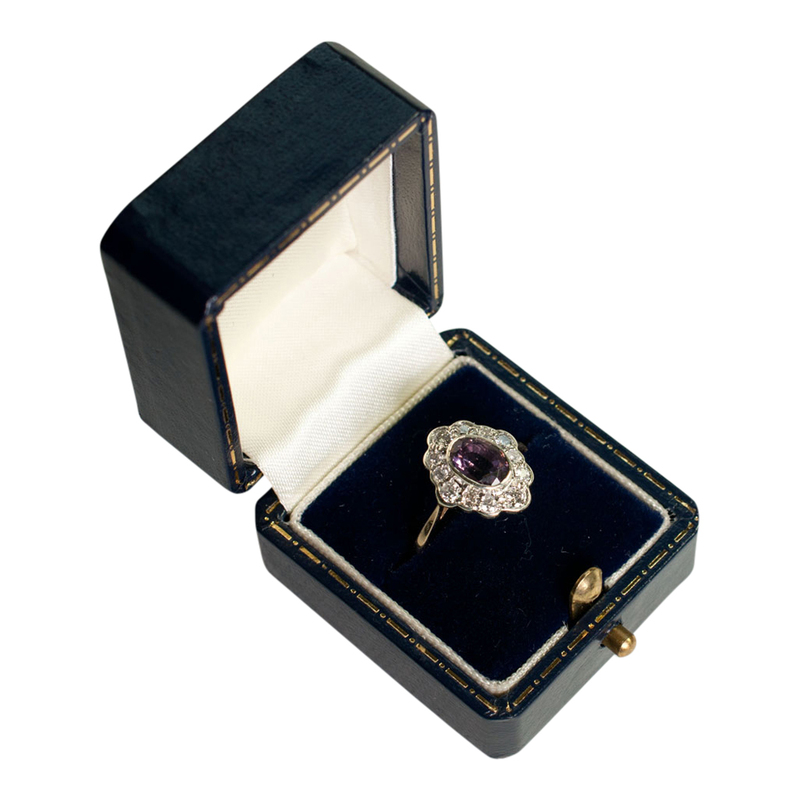 No Heat, natural violet spinel and diamond cluster ring; the oval spinel is a beautiful shade of violet, is bezel set, weighs 1.44ct and is surrounded by 8-cut diamonds totalling 0.32ct. 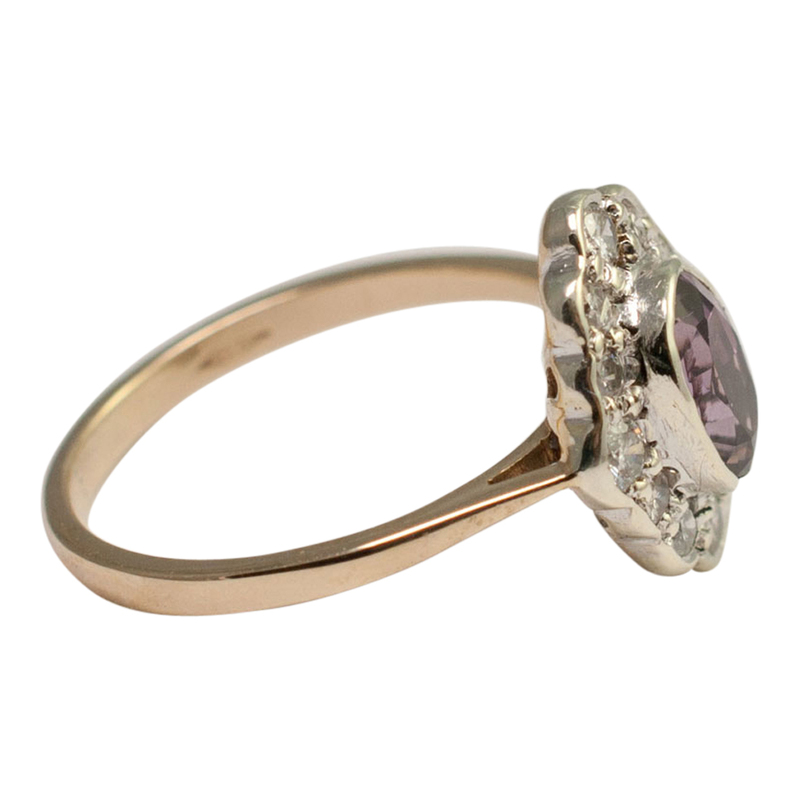 The ring is hallmarked 9ct gold London 1996. 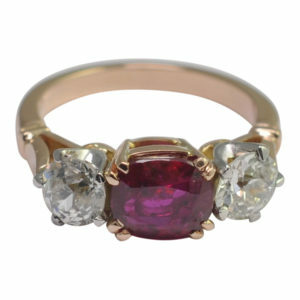 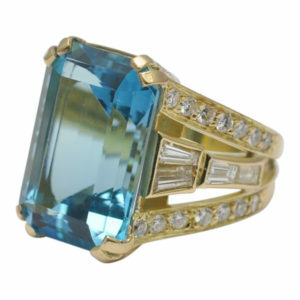 This would make a lovely alternative engagement ring. 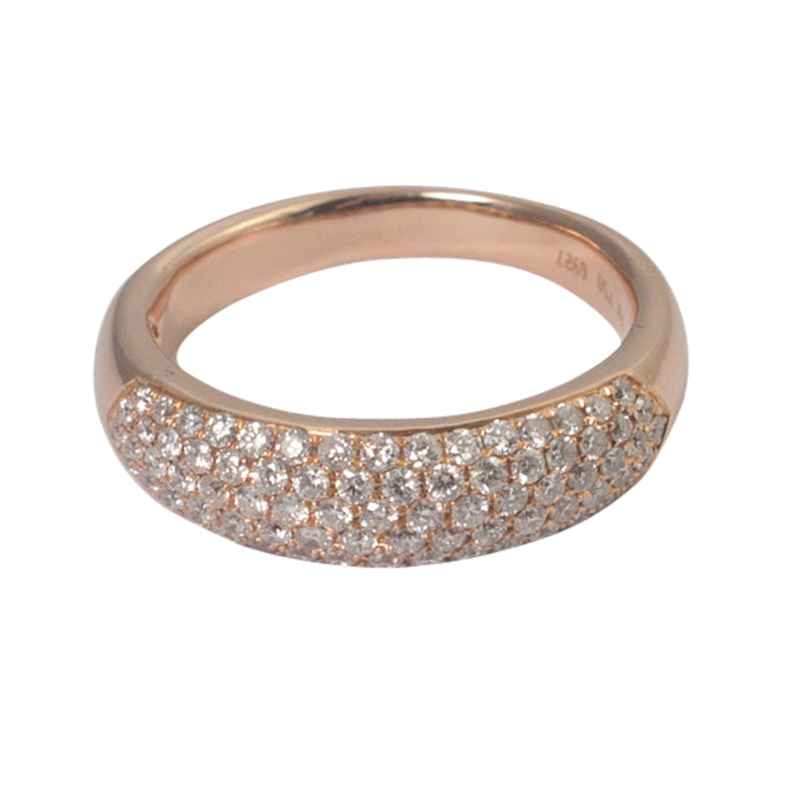 Weight 2.7gms. 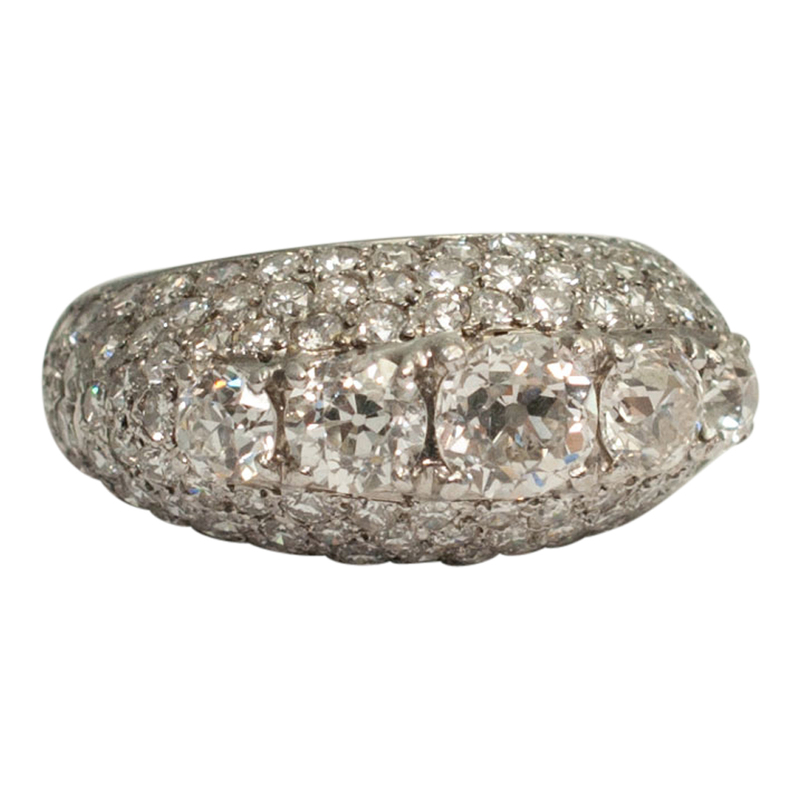 Finger size N (UK), 7 (US), 54 (EU) which we can re-size for you if required.